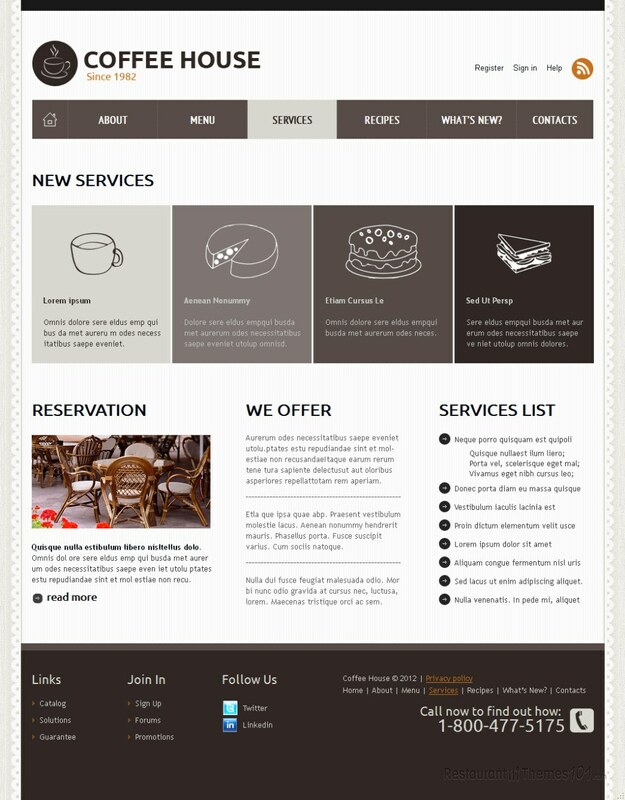 Coffee House is a very stylish, great looking Joomla cafe template developed by Jenny and featured at Template Monster. This template looks very clean and fresh, with a carefully designed layout. The colors prevailing are light and airy, with nice smooth patterns and many interesting details. The homepage features a wide slider, perfect for showcasing quality photos of delicious coffee, sweets, or any other product you might be offering at your cafe. The slider will be the center of everyone’s attention the minute they open your website, so you need to make sure their eyes are glued to the most important thing: your delicacies. Many posts can be featured on the homepage for pointing the attention of your readers in the right direction. 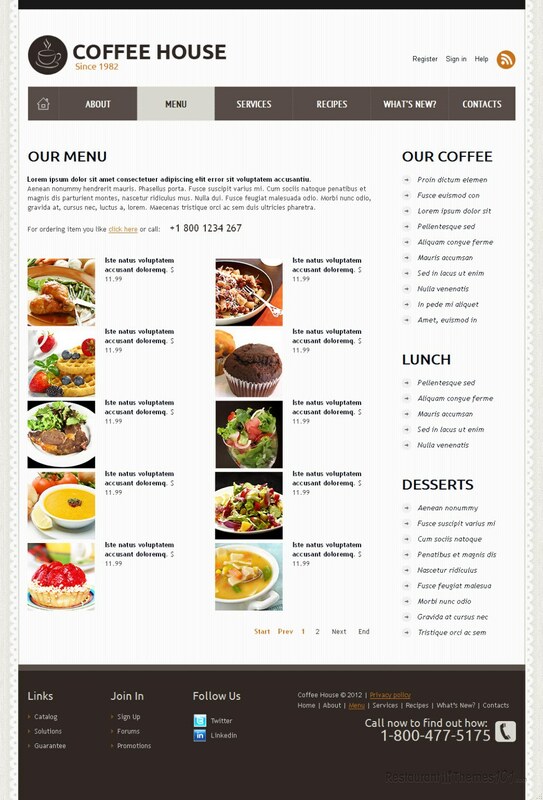 Nice, fancy boxes are added for presenting your menu items and offerings, and they will be linked to full content pages where your visitor will be taken by just one click. Your recent news can be featured on the homepage as well, along with dates, and this is where you can update your visitors on any interesting, fresh goodies you might be preparing for them. 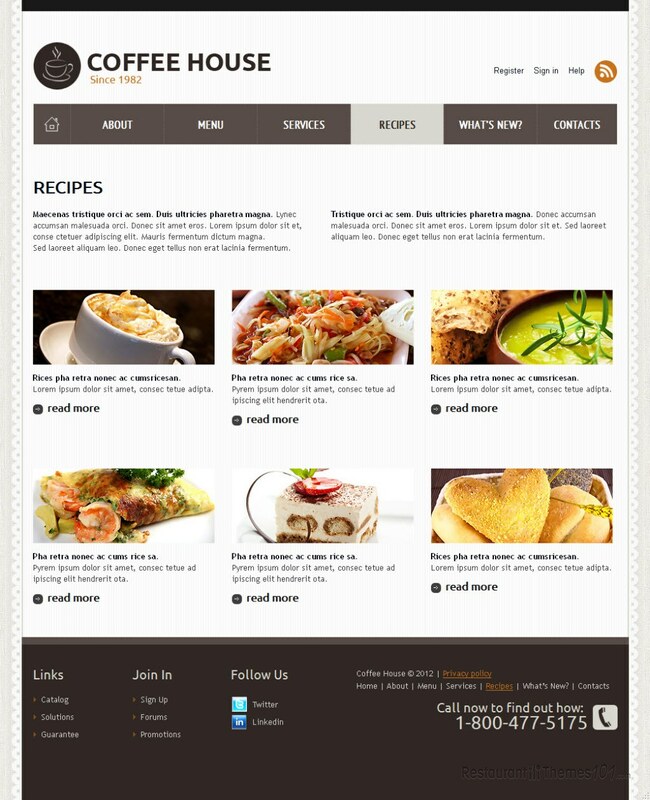 You newest menu additions can be presented here as well, to make everyone know about your newest specialties the minute you post them. 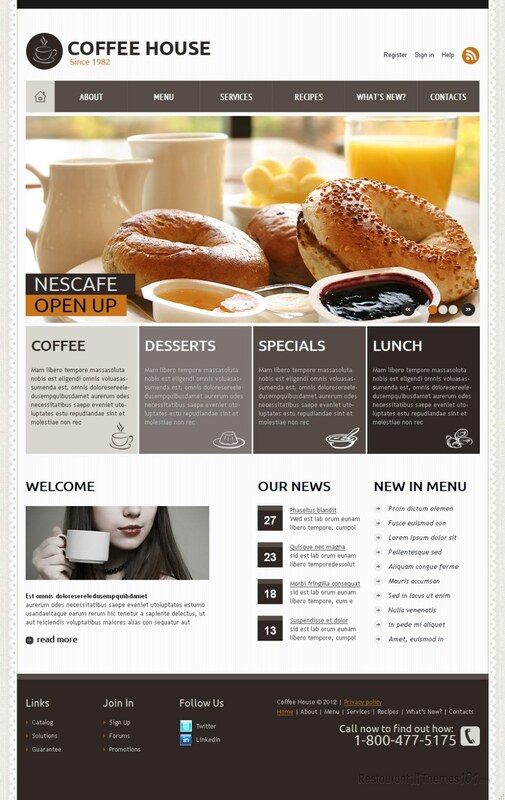 A nice welcoming note with a pleasant photo included can be added to the pretty looking homepage, allowing you to welcome your guests in a nice way and make them feel cozy at your cafe. 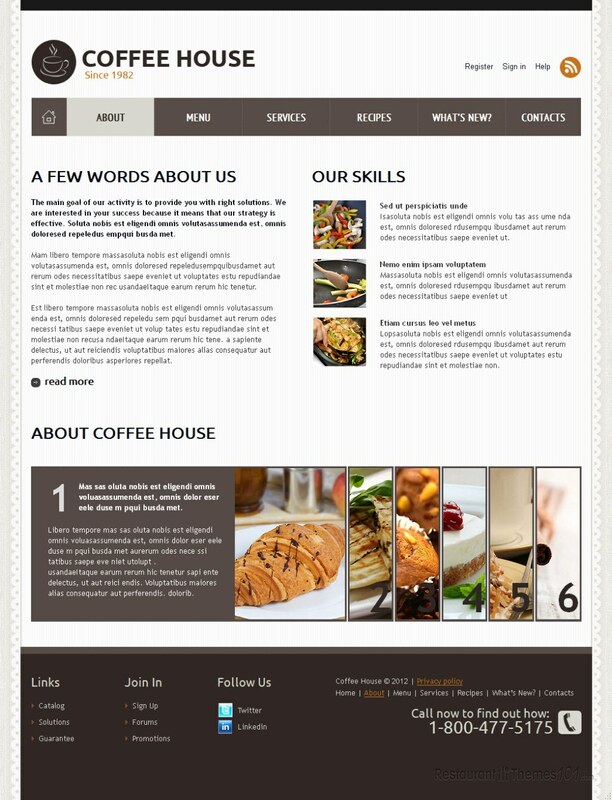 This coffee shop template for Joomla has nice social integration, allowing you to connect to LinkedIn and Twitter. 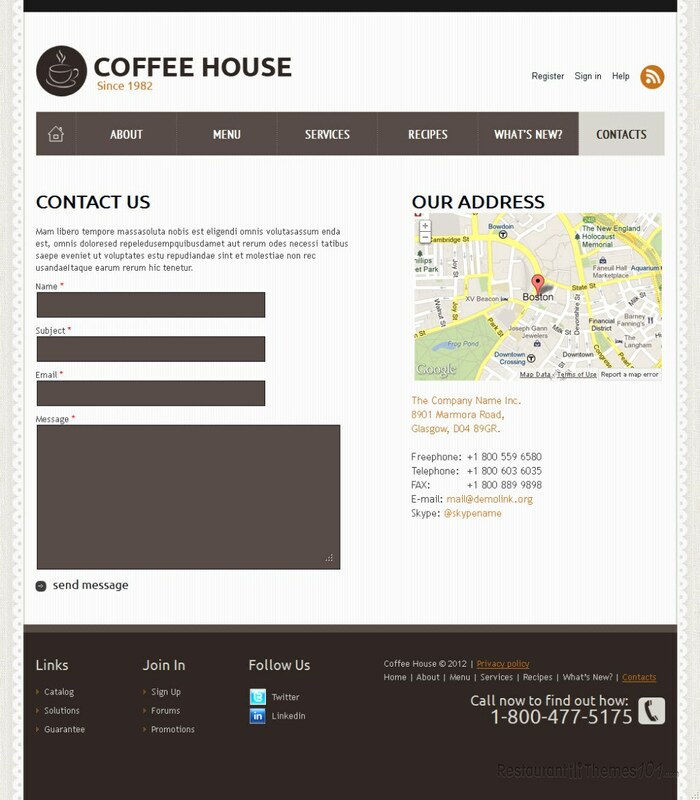 On the contact page it features Google Maps for everyone to be able to easily get the right directions to your coffee house. A nice contact form is also featured, giving your visitors the opportunity of emailing you easily whenever they need to. This template comes with installation and setup instructions, making sure anyone can create their own website without the need of paying extra cash for a professional web designer. 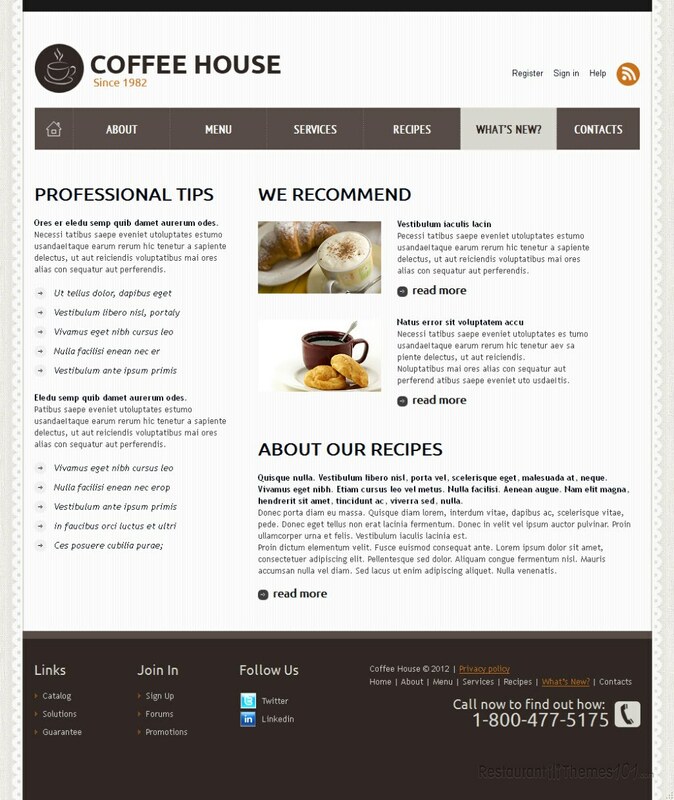 Besides this Joomla template you can buy Coffee House also as a Facebook page template.